San Diego Home Sales website search offers all Torrey Highlands homes, condos and foreclosures for sale. You are able to get new property listings daily that meet your search criteria. A smaller suburban community in the San Diego, California, region, Torrey Highalands is located about 25 miles northeast of downtown San Diego and sits inland from the area's Pacific shores by about 10 miles. The community is bounded to the north by Black Mountain Ranch, to the south by Del Mar Mesa, to the west by Pacific Highlands Ranch and to the east by Rancho Peñasquitos. In 1996, the community approved a plan, called the Torrey Highlands Subarea Plan, that limited housing units to no more than 2,600 in the community. It also officially claimed 50% of the community for residential development, as well as 30% for parks and open spaces, 12% for education institutions, 5% for commercial developments and 3% for employment centers. The community, which is still undergoing much development, is also a rather affluent one. In 2006, the San Diego Association of Governments estimated the median household annual income to be $130,086, well above most area averages. 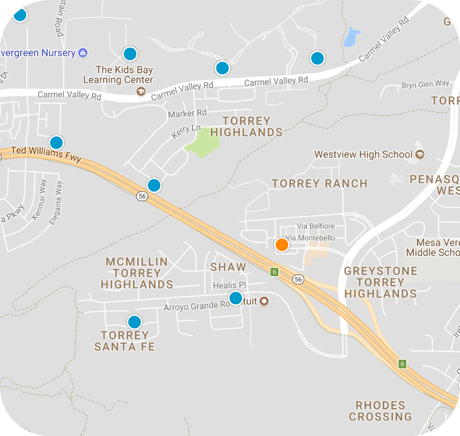 Housing prices in Torrey Highlands are correspondingly higher than those in many other neighboring communities. The median rent was $2,360 in 2008, well above the San Diego median of $1,170. The area is also home to a booming Asian population. 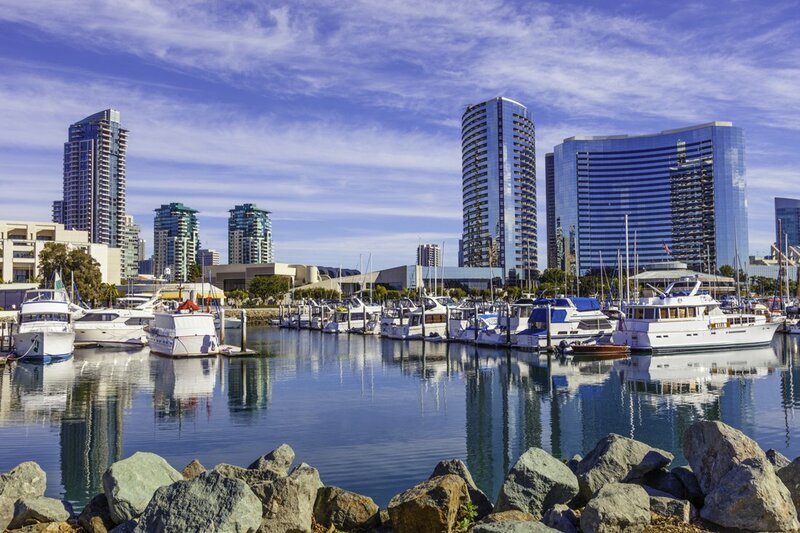 In the 2006 estimated taken by the San Diego Association of Governments, more than 30% of the town's residents were counted as people of Asian and Pacific Islander descent. State Route 56 passes through the community, connecting it to other nearby areas. The Los Penasquitos Canyon Preserve is just south of the community, along with its Canyonside Community Park, for residents to enjoy year-round. Other nearby attractions include Lake Miramar in Scripps Ranch, the Black Mountain Open Space Preserve, and shopping centers galore in Carmel Mountain. The nearest hospitals are Aurora Hospital San Diego in Carmel Mountain and Pomerado Hospital in Rancho Bernardo.